Re post 5280 McCandless LO . glasspacks still hanging on...Herb must have been the original owner of that car as that would have been in 68...you know when Stock and SuperStock REALLY meant stock. Really goes to show how impressive these cars when designed. It belonged to my Uncle Al Faretta from Altoona Pa. Car is long gone. I have no idea where. Great pic! 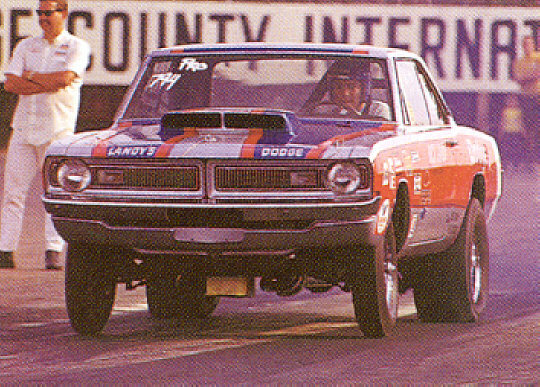 Who owned and drove this dart? 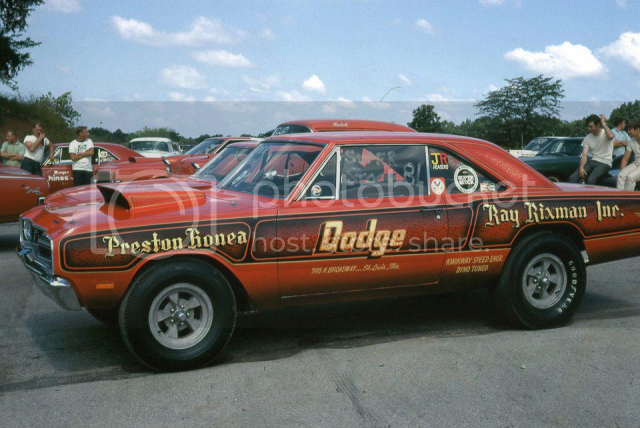 The first Hemi Darts and Barracudas that I seen were at the NuCar Transportation Building in Detroit. They were all lined up in front of their fence on the corner of Mt. Elliot and Caniff. I worked a 1/4 mile from there. When I first saw them I didn't know what they were. They were 2 tone primer and there was a sticker on the windshield, it said "ship on lower level only". Trust me there was a whole lot of Hot Mopars running around Detroit and Hamtramck. We used to hold drag races on Mound road on Saturdays. O those were the days! Guessing because the wheels appear to be the same, this is different paint on the same car above. Unusual wheels. Last edited by Charlie A; 02-13-2019 at 01:20 PM. Everytime I see this pic of this car I am amazed at how much time and money it took for that candy paint job, lace panels, pinstriping and 24K gold leaf work. It must have been amazing to see it in person...pics just don't do it justice. Very few folks left with the skills and talent to do this anymore...Bucky/Travis's shop of course. Wheels don't quite do it justice but they're magnesium so the weight savings would be worth it. I'm sure they looked great all shiny new...but that only lasts a few months with real mags.